Having already secured Universal Music’s support, Nokia is hopeful that the three remaining major labels – Sony BMG, EMI and Warner, along with around ten independents – will also sign on in time for the launch of its all-you-can-eat music download service. 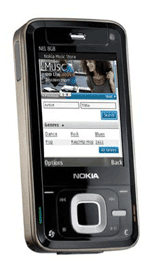 Securing the other three major labels’ support will be essential to Nokia if “Comes With Music” is to be given a fair chance of success. And while it’s unsurprising that Universal was the first to sign on, having touted a similar proposition known as Total Music, the music giant will also be desperate for its rivals’ co-operation in order to prove the viability of such a model. If not Nokia then perhaps Apple? The iPod maker is also rumored to be considering an all-you-can-eat offering similar to “Comes With Music”.